What comes to mind when you think of travel? Hopefully, easy and convenient are at the top of your list. However, for most of us, stress is also associated with traveling. At SHD, we take the stress out of travel by offering free parking, free Wifi, TSA PreCheck on select flights, and of course, reliable United jet service powered by SkyWest! 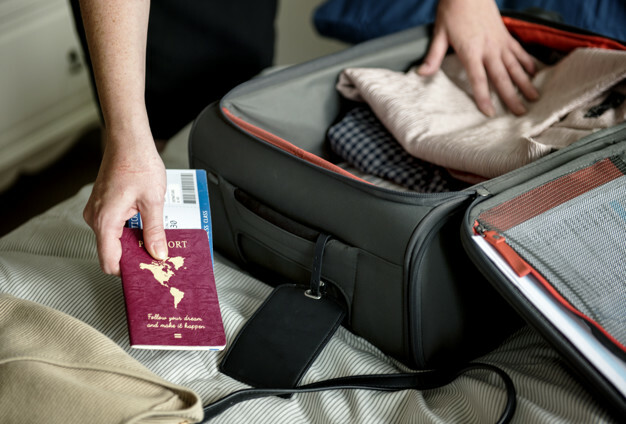 To help you reduce your travel stress even more, we’ve compiled a list of our best Stress-Free Travel Hacks. 1. Everything You Could Want in a Travel App! Ever wish you had a personal assistant to keep you informed, organized, and stress-free when you travel? 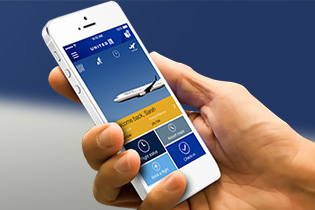 Look no further than the United Airlines app! Mobile check-in and boarding passes – you can also access your boarding pass for 19 different partner airlines! Simply click here to download the app and let United Airlines do the rest! Make the most of your tip while reducing stress with technology that solves common travel challenges and will have you feeling like a local in no time! Don’t have time to brush up on your language skills before traveling the friendly skies? No problem! Google Translate helps you over the language barrier with 103 languages, connection even without data access, and text translation using your phone’s camera. Guessing at exchange rates or calculating conversions can make travel hectic. XE Currency removes the guesswork with live exchange rate information, quick conversions, and value change alerts. If you’re like most people, packing is a chore you’d rather not tackle. Lucky for you, we’ve compiled some helpful tips, so you can pack like a pro. Yes, there’s an app for packing (at least the list part)! PackPoint creates a custom packing list for you that accounts for your destination, the weather, and what you plan to do during your trip. You can also add custom items to the list as you go along. Let the stress of second guessing your packing list melt away with PackPoint.Don’t leave home without them! Pre-pack for your next trip by keeping the standard items at the ready. Toiletries are a great place to start. Having a toiletry kit stocked with TSA approved containers helps avoid the last-minute packing rush. Refill the items when you get home and never worry about having what you need for your trip! Don’t risk the stress of a dead cell phone, tablet, or laptop. Fully charge all your devices before leaving home. Consider bringing along TSA approved battery packs for backup. People tend to use more battery life when they travel, so prepare ahead of time for the additional battery drain! Embrace the adventure and fun of travel with these stress-reducing travel hacks! Remember, SHD is always here to answer any travel questions you may have. Ready for your best trip ever? Click here to book your next vacation, business trip, or adventure! You Asked – We Answered! FAQ’s of SHD Travelers You’re Invited to Chicago!